National Instruments LabVIEW Runtime Engine can be downloaded from NI's website. LabVIEW 2012 Runtime Engine is required to use the executable user interfaces for programming boards. 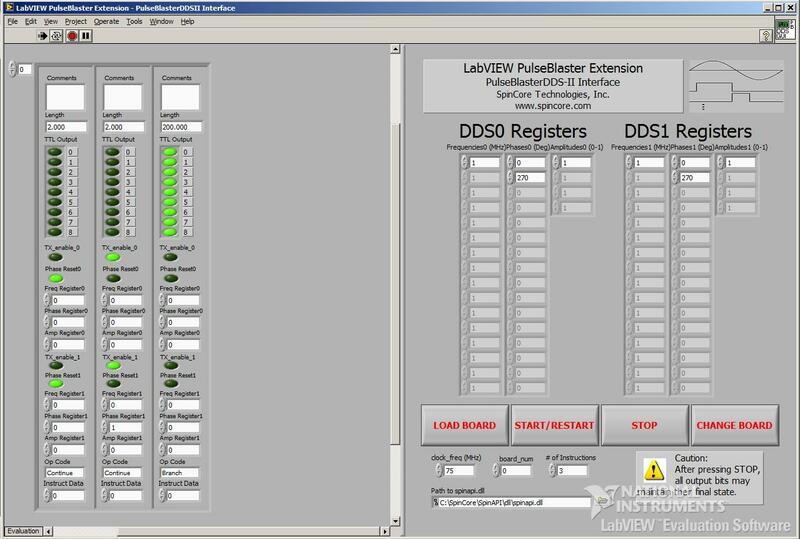 The PBLV-DDS Interface is a user interface created with LabVIEW to provide all the tools to program RF and TTL pulses onto a PulseBlaster-DDS board. Examples for creating simple RF and TTL pulses. 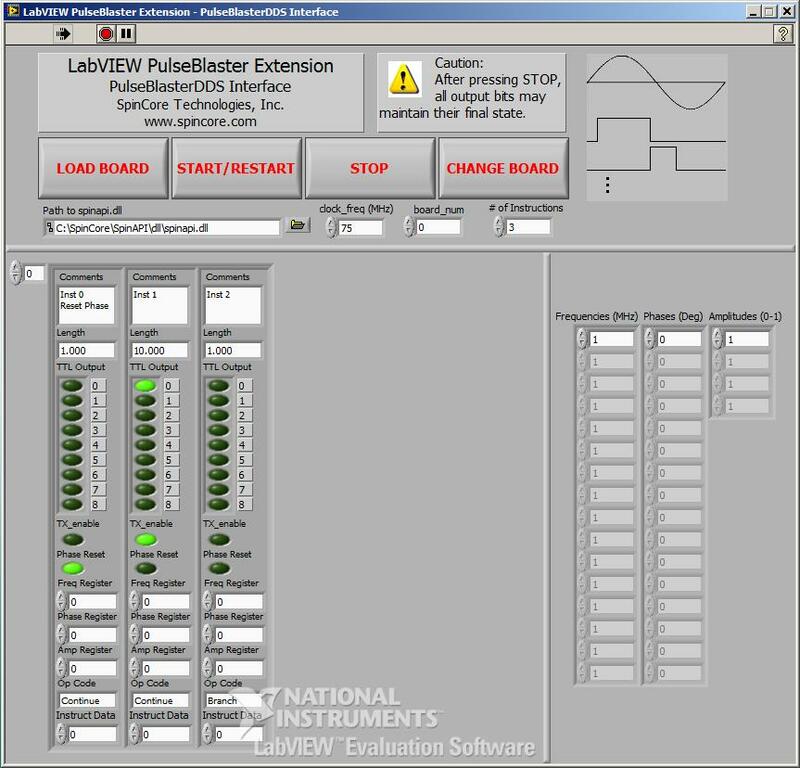 The PBLV-DDSII Interface is a user interface created with LabVIEW to provide all the tools to program RF and TTL pulses onto a PulseBlaster-DDS-II board.